Most aspiring freelance travel writers believe that developing good writing skills is all you need to succeed in this highly competitive arena. Writing skills are critical, but that’s only a minor part of what you need. 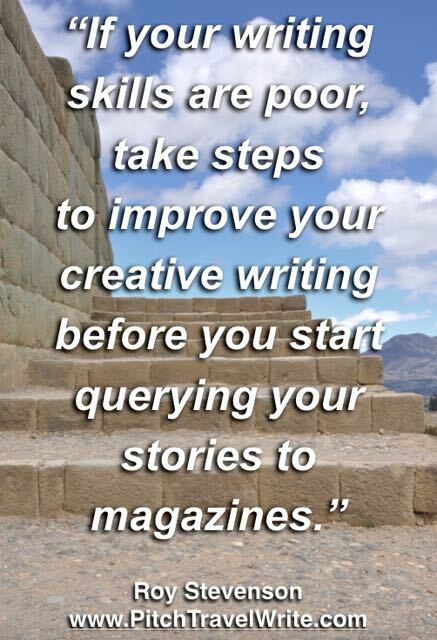 The fact is, magazine editors assume you have superior writing skills and that you can paint a great picture of your destination. It’s a requirement if you’re going to pitch stories to magazines. But let's assume your writing skills are up to snuff. Now you need to sell your story ideas. After all, if you can’t sell your travel stories, you won’t get to write them. This is the area where most writers struggle: pitching and querying your stories. Most novice travel writers are clueless about the process and sequence of selling their travel stories to magazines. This is not surprising. There’s a whole querying and pitching maze to navigate in order to see your articles published. Until you’ve been through it a few dozen times, it’s easy to screw things up. After ten years of studying the art and science of querying and marketing freelance articles, I’ve concluded that 80% of your success in the travel writing game is determined by your marketing abilities. 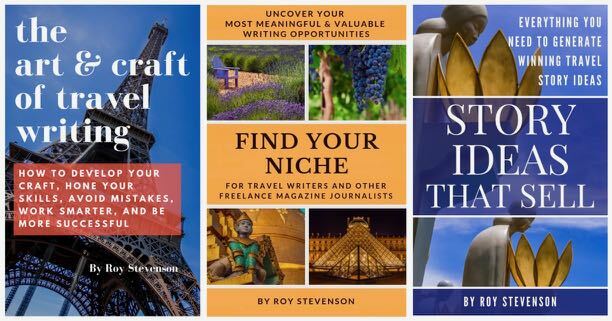 Knowing that superior marketing and sales skills are mandatory for success, I have closely examined the querying, sales, and marketing content of top nine travel writing books for people wanting to break into this exciting field. And, boy, was I surprised at the results! Disappointed is a better description. Sadly, none of these travel writing books had anywhere near adequate coverage of querying, marketing, and sales. This critical information was missing, or at best minimal, sporadic and piecemeal. Or, it was so outdated as to be useless. What surprised me about the popular “how to” freelance travel writing books? Most serve up a scant chapter or two on marketing freelance articles and are so poorly detailed that they leave you with more questions than answers. How these authors expect aspiring travel writers to read their books and then go out into the rough-and-tumble travel writing world and sell their stories eludes me. This is harsh criticism indeed. Please bear in mind I analyzed these books solely through my marketing and sales lens. So don’t think I’m trashing these books out of hand. I’m not saying they’re worthless. I simply can’t recommend most of these books to learn about querying, marketing and sales. Many of these books dispense outstanding advice about researching your story, developing your article, and other good travel writing advice. Others offer sound, practical information about other aspects of freelance writing, ranging from writing style and tone to press trips and designing independent itineraries. Overall, the general, broad strokes advice offered in most of these books is satisfactory. But, again I remind you: if you can’t sell your travel stories, you won’t get to write them. I’ve analyzed and ranked these travel writing books in descending order of the quality and quantity of marketing and sales advice. To inject comprehensive querying, sales and marketing coverage, I have inserted two additional books into this review. One is a generic freelance writing book. 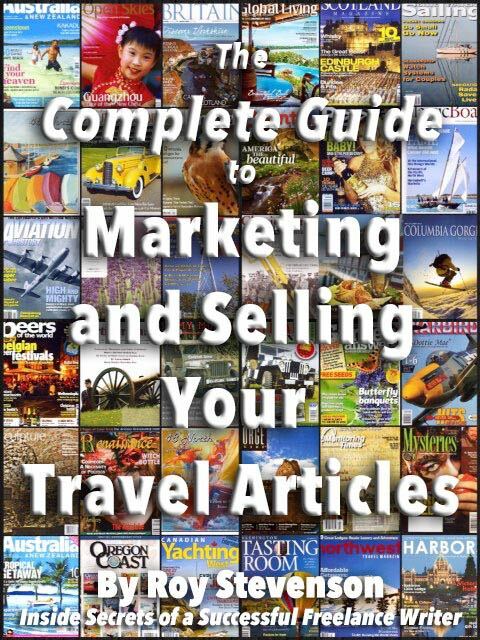 The other is my marketing guide, The Complete Guide to Marketing and Selling Your Travel Articles. Well of course I’m biased about my marketing manual—I wrote it. But, let’s move past that and examine my claim that this 158-page manual is the best book available about marketing, selling, pitching and querying freelance travel articles. First, it’s the only manual or book in existence dedicated solely to pitching, querying, marketing, and selling freelance travel articles. It focuses on how to create your own personal writer’s brand. Second, this manual is completely up-to-date. It covers social media, LinkedIn, Facebook, blogging, and who to network with. It even has 4.5 pages about how and why you should establish a writer’s website. Third, I’m very well qualified to write this manual. Few travel writers can rival my prolific writing career. I've sold more than 1,000 articles in nine years of writing, and my stories have been published in 200 different regional, national, and international magazines, trade journals, airline in-flights, cruise line on-boards, newspapers, and specialty magazines and travel websites. If those facts don’t prove my credibility, then please consider this: I consistently sell 90% of the travel stories I pitch. Most travel writers consider themselves lucky to sell 25% of their stories. Fourth, this manual is packed full of practical advice on how to market your magazine articles. You can implement my advice immediately. Beginners in the travel writing game tend to blunder blithely along making a multitude of mistakes that cost them assignments, until they finally stumble across something that works ... and this process takes them years of trial and error. My book will guide you with solid, practical, and ethical advice on selling and marketing your travel stories. My marketing system is a blend of many well-tested marketing methods that consistently work well, plus some maverick techniques that yield surprisingly good results. You’ll learn the marketing secrets used by professionals, and the many techniques I’ve developed along the way, to make your travel writing journey more productive. I share dozens of special sales ideas, marketing techniques, and other tricks and tips that I’ve picked up. I’ve discarded some of the traditional techniques that fail miserably in the fast-paced digital world, and added my own techniques to create a marketing system that works like a charm. My book also shares my hard-earned and seldom-revealed insider’s secrets on how I establish strong relationships with magazine editors to get repeat business. And I do get plenty of repeat business! I’ve been writing for some magazines since 2008! 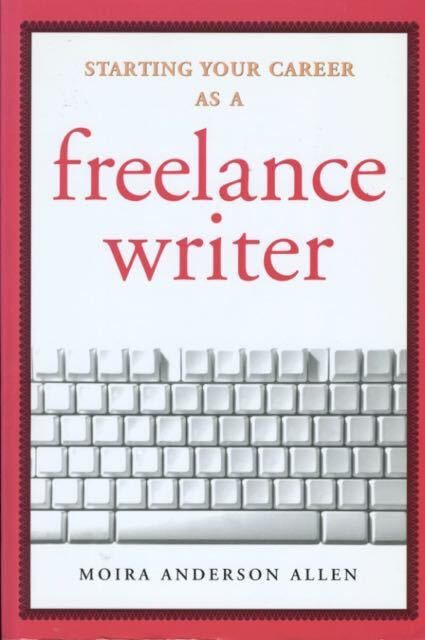 How ironic that the book with the best marketing coverage is generic, aimed at all freelance writers! If you’re going to buy one text about the general approach to freelance writing, this is it. This is the text that I often referred to when I started freelance writing. Many of my marketing techniques originated from this book. With 257 pages and 31 chapters this is one comprehensive book, and fluff free. Ms. Allen dedicates no less than ten chapters to the various pillars and foundations of querying and marketing. While a few of these chapters have become outdated, (writing for newspapers and selling a column, for example), the information in these chapters is a gold mine. 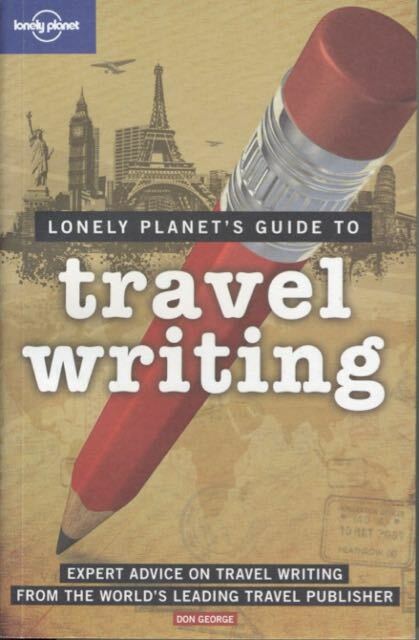 Lonely Planet’s entry in the travel writing field is the best of a rather mediocre lot. 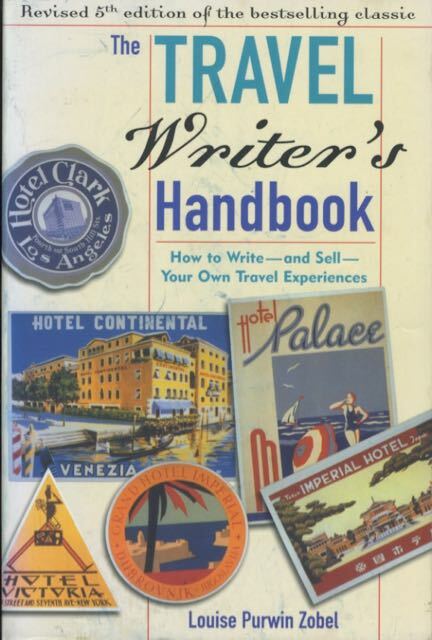 Weighing in at 352 pages, this tome makes an excellent starter kit for the aspiring travel writer. It does covers most freelance travel writing bases. Summary: If you’re going to purchase a book about the art and craft of travel writing, sprinkled with some nuggets of good marketing advice, this would be a great book to start with. At 18 chapters and 308 pages, Zobel’s book is closer to the marketing mark than almost all its peers, despite its turn-of-the-century publishing date (2002). However, this book has not been updated and still talks about sending query letters by snail mail, instead of via email. A few pages mention using the Internet and emails, but the book is in dire need of upgrading and does not come close to describing how to use electronic and digital media to market and sell travel stories. Summary: This book is actually worth investing in. If you discard the outdated information about the Internet, emails, etc., the general advice dispensed in this book is excellent. Travel Story Idea Troubleshooting Guide, or “Why Can’t I Sell My Articles?